For larger canine patients who will be staying with us for the day, we provide large, clean, comfortable runs with glass doors. 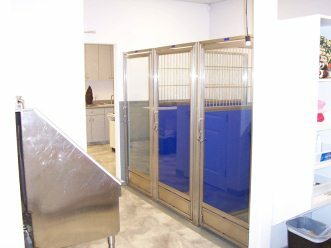 Our air-conditioned ward area provides well monitored quarters for our canine patients. Everyone gets soft, warm bedding or blankets.